Leasing vehicles is becoming more popular every year but how do you know if it’s the right option for you? Leasing offers many benefits that you won’t get with buying such as having an extended warranty just in case something unexpected happens and the down payment is much smaller than what you’ll pay when buying a vehicle. While it does have many benefits, it can still be difficult to determine if leasing a vehicle is right for you but the way you answer the following questions can help you make that decision. Are you the only person who will use the vehicle? When you return the vehicle at the end of your leasing term, it needs to be in the same condition it was in when you leased it, except for normal wear and tear. That will be much easier to do if you are the only one using the vehicle or if it’s just you and your spouse. If you have small kids or teen drivers, it would be difficult to try and keep the vehicle in excellent shape, so leasing may not be the best option for you. How Much Driving Will You Do? When you first lease your vehicle, you’ll need to estimate how many miles you’ll drive during your leasing term. The number of miles you agree on will affect how much you pay each month and you cannot go over that amount or you will need to pay extra at the end of the lease. Since mileage does affect your monthly payments and you are limited, leasing is not a good option for someone who does an excessive amount of driving. Are You the Type of Person that Gets Bored Easily? If you’re the type of person that gets bored easily and if you have a tendency to trade in your vehicles as soon as you pay them off, then leasing will be great for you. Driving a new vehicle every two or three years is one of the main perks of leasing a vehicle. 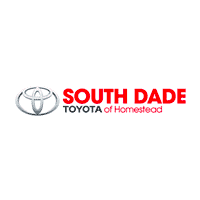 Here at South Dade Toyota in Miami, we have a wide variety of Toyotas to choose from, making it easy to find one that suits your needs and personal taste the best. If you’re financially secured, then leasing can be a great option for you. However, if you have any concerns about your financial future it would be better to wait or at least get a short-term lease because it’s not a good idea to terminate your lease early. There is a penalty for early termination and the amount you’ll have to pay will depend on how early you terminate the agreement. It’s never a good idea to jump straight into leasing a vehicle. Instead, evaluate your personal needs to determine if it’s the right option for you based on your individual situation. You can also give us a call to learn more about leasing a vehicle and the different options available. Learning all you can about the different leasing options and answering the questions above will help you determine if leasing a vehicle is right for you.